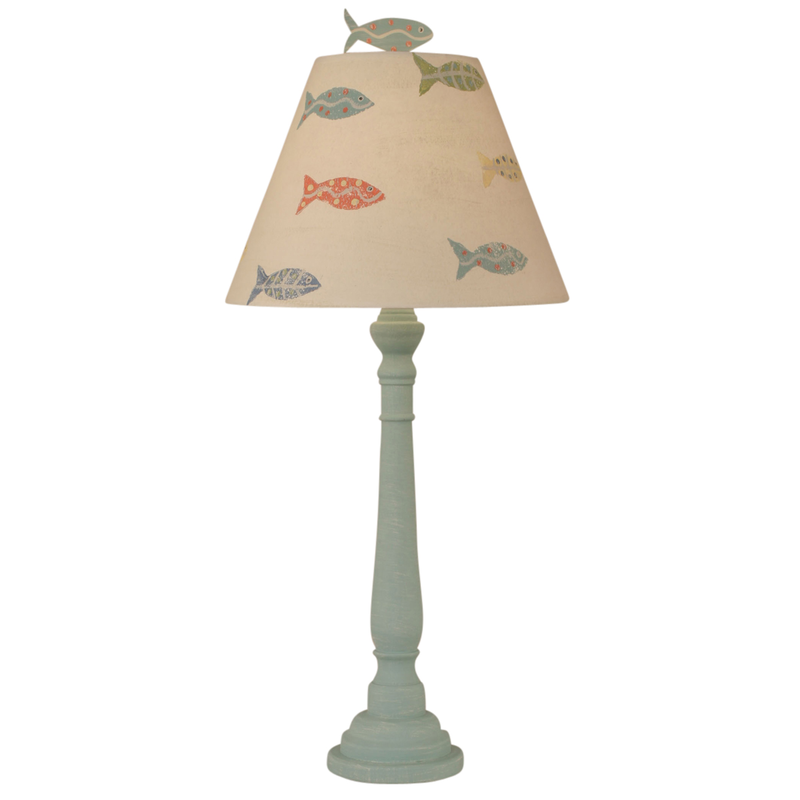 Featuring a round pedestal base, colorful swimming fish on the shade and a polka dot fish finial, the Shaded Cove Round Buffet Lamp with Fish Shade is perfectly suited to your seaside home. Ships from the manufacturer. Allow 1 to 2 weeks. Cannot express ship these beach table lamps. For further items, we encourage you to take the time to have a look at our thorough assortment of beach table lamps at Bella Coastal Decor today.